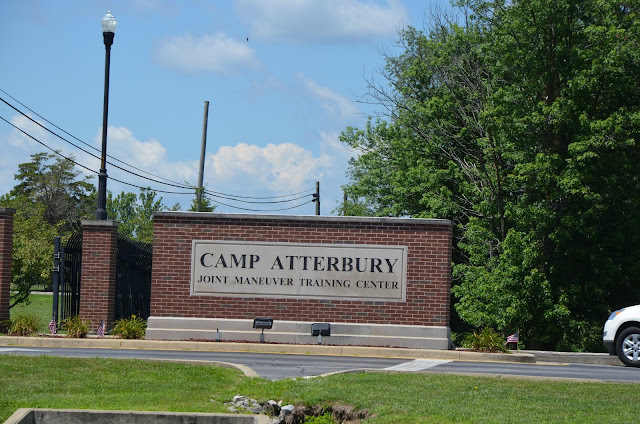 My youngest son, who is a cadet in the Civil Air Patrol recently attended a weeklong encampment at Camp Atterbury in Indiana (about 30 miles south of Indianapolis.) A friend of ours who served in the Army Reserves during the Iraq War and a nephew serving in the National Guard have spend a bit of time there and my son was excited to be able to be there living and learning on a working military base for a few days. His older brother has been through encampment twice, but this was my first time heading down there for an encampment graduation since another brother of theirs had been performing at Notre Dame on the same day - so dad went one direction and I went the other.